But then there are names like Rory McIlroy and Lee Westwood, two players who have pledged to play more in the United States this season. So it’s game on this week. And as far as the odds are concerned that trio leads the way on PGA Tour Betting Lines available at Bovada Sportsbook. McIlroy is the lead dog though, going off at 15/2 on the odds, with Woods and Westwood both set at an equal 9/1. McIlroy came so close to getting that No.1 ranking last week, losing in the final of the Accenture Match Play tournament, where a would would have vaulted him into the top spot in the world. So close! Yet so far! But it’s the same deal again this week, so McIlroy will have some extra motivation you can bet on. This course is very difficult though, providing some exciting holes to wrap things up beginning on No.15. I’m ready to get this event started as a big golf fan, especially with Woods and Westwood paired together in the opening two rounds. 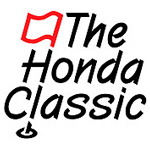 The Honda Classic couldn’t be more thrilled, and estimates upwards of 160,000 patrons flooding the fairways this week. But let’s see how Tiger does, after an early exit in the match play last week in the second round. All of your favorite PGA tour players in the field this week have been set with odds to win the 2012 Honda Classic, so if they are outside of the top-three favorites mentioned here, be sure to check out Bovada’s PGA Tour betting odds page, for complete field odds, as well as head-to-head betting and 3-ball lines for the opening round.